Today's video is a classic for people of all ages. 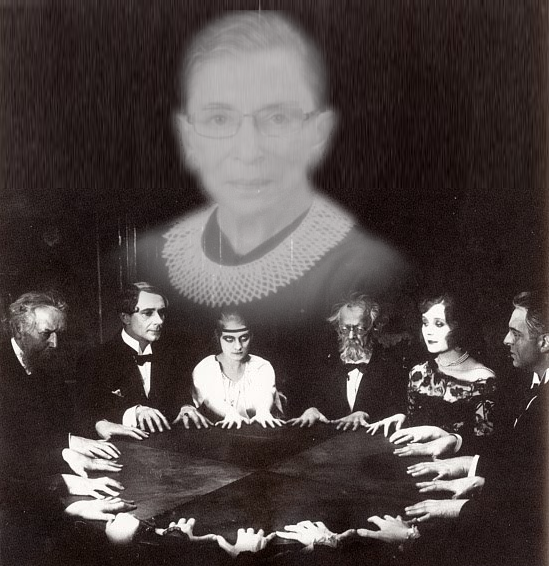 People don't realize - RBG or better known as the Wicked Witch of the Supreme Court was a highly fragile creature and one bucket of water is all it took to do her in. "I'm melting, melting. What a world, what a world." Produce the broom stick and you can have President Trump nominate a new justice. Until then, we have no proof. (02-11-2019 05:23 PM)CrimsonPhantom Wrote: Possible sighting! That's the Dim's poster for all hands on deck! It's also necessary protocol for a Democratic meeting. There are so many pervs in the party nobody feels safe unless everyone's hands are on the table. 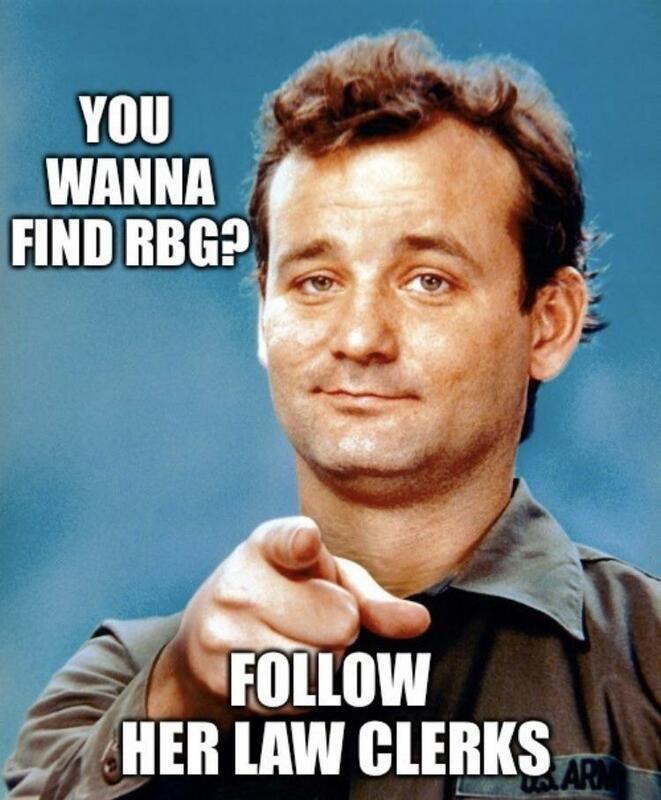 Friend of mine offered me a bet on who is more difficult to find right now, Ginsburg or Avenatti. (02-05-2019 06:38 AM)Machiavelli Wrote: This is why the right has such a bad name.... This entire thread is despicable. Be better. You are better than this. You are not thee one who should be the spokesman on bad behavior. Then again, maybe you are. 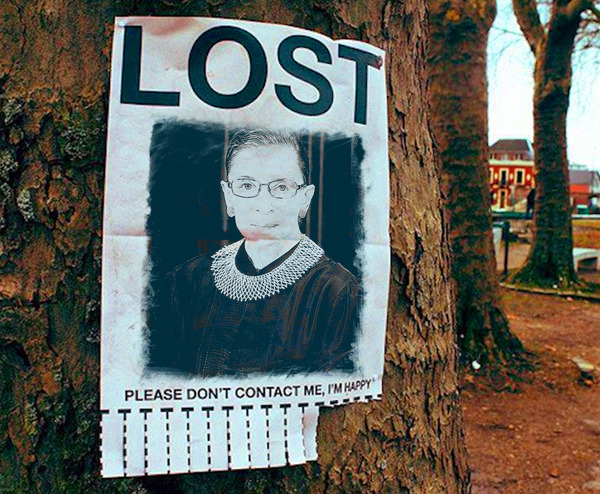 (02-12-2019 07:17 PM)Native Georgian Wrote: Friend of mine offered me a bet on who is more difficult to find right now, Ginsburg or Avenatti. Bader G will show up eventually in a funeral procession. You can't hide forever as a Justice. On the flip, we may never see or hear from Pornatti again. He was nothing before Stormy, made a name for himself during a quick go at it, and then flamed out in epic fashion. I'd guess he made some enemies in the wrong places along the way and will end up in pieces fed to carp in some forsaken lake. RBG is staying in the Gothic big house just up the hill from the Bates Motel. Ah! A new rendition of "Kilroy Was Here" or the "Traveling Yard Gnome". Public has still not laid eyes on her, this thread continues. 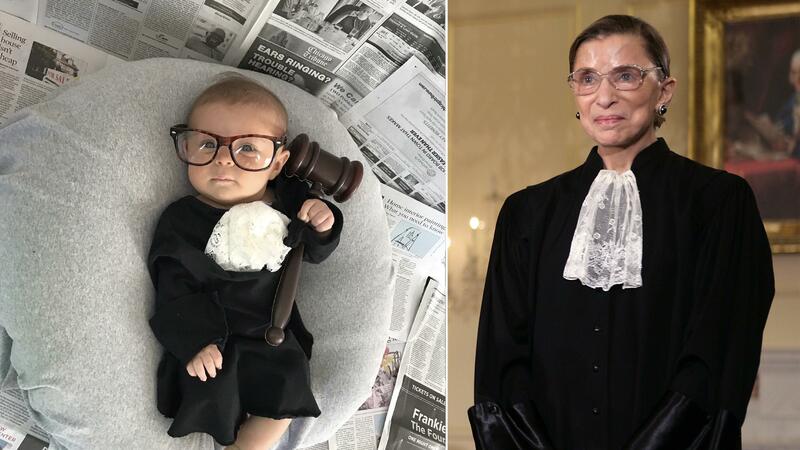 Ruth Bader Ginsburg is alive and well! After a short and painless death she has been reincarnated as a vibrant young baby and is ready to serve for another 85 years. I'm glad she is better. Perhaps she'll decide to enjoy her improved health as a civilian.